Kathy Moore serves as the Curriculum Coordinator for the San Ramon Valley Unified School District and as a staff developer throughout the greater San Francisco Bay Area. 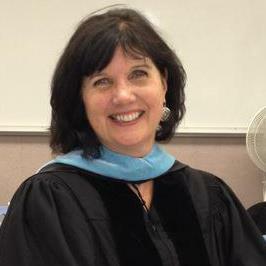 She was honored as SRVUSD Teacher of the Year in 2007 and San Ramon Chamber of Commerce Educator of the Year in 2009. Kathy is San Ramon’s Poet Laureate for 2012-2018; she also teaches teen fiction writing workshops and is an Instructor in the Master of Arts in Teaching Leadership program at St. Mary’s College of California. Kathy’s passion is promoting social justice through literacy. Her work has been published in several journals and anthologies including Finding Poetic Justice: How Teacher Inquiry Impacts Elementary Math Instruction, CSUEB Press, 2012; Postcards from the Schoolhouse, NCPEA Publications, 2013; The Exchange, International Reading Association, 2013; Found Poetry Review, 2014; and Digital Paper, 2013, 2015. Kathy blogs at https://eduk8te.wordpress.com/ and her twitter handle is @wordcrazy.